Ohio Loan Co., Inc. | Dayton Pawn Shop – How Does A Pawn Loan Work? 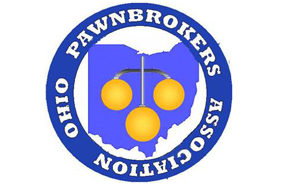 Ohio Loan Co., Inc. | Dayton Pawn Shop \ How Does A Pawn Loan Work? A pawn loan is a loan made on collateral, or an item of value. Ohio Loan Co., Inc. lends money on loose or mounted diamonds, TV's, stereos, DVD players, gold jewelry, watches, computers, cameras, musical instruments, camcorders, estate jewelry, tools, bikes, video games, firearms, guitars, motorcycles and a host of other items. Loans can be as small as $10 and as high as several thousand dollars. The national average loan is $150, according to the National Pawnbrokers Association. A pawn loan requires no credit, no employment or credit checks and can never affect a customer's credit, even if the loan is never repaid. When a customer brings in collateral for a loan, our experts appraise the item, and the customer and our staff will agree on a loan amount. Customers borrow the money for a contracted loan period, receive a pawn ticket with the contract details and leave their item in our high security storage facility, which is under 24 hour video and alarm surveillance. At the end of the loan period, customers return to repay the loan amount plus interest and fees. The pawnbroker returns the collateral to its owner. We have skilled metallurgists and gemologists on staff to conduct the proper testing and inspection. We determine the value of your item based on its current condition, the appraisal value and the ability to sell the item, while utilizing every tool at our disposal. Remember that the value of your item is based on these factors, not the retail value of the item if new. Learn more about how much a pawnbroker will give for your item. What if I can't pay back the loan? Some customers cannot pay back their loan on time. Customers may elect to extend the loan for a new loan period by simply paying the interest and fees on the current loan, but not the principal, and the loan period is extended. Others choose simply not to pay the loan back. In such cases, the customer's credit remains unaffected. The pawnbroker keeps the customer's item for a grace period and then attempts to sell the item to recover the money extended on the loan. You see them in the various parts of town and you have been wondering just exactly what is a pawn shop, how do they work, and why are they becoming more common place? But you haven't asked. If you are interested in saving money, and finding great values, the pawn shop is the place for you to go. Today's pawn shop has it all. Quality merchandise at outstanding prices is what the modern pawn shop is all about. Previously owned merchandise of excellent quality can be found on the shelves of your pawn shop. Every time a pawn broker loans on an item, he knows that someday it could be on his shelf for sale. Therefore, he only will deal in good quality merchandise. Also, the pawn shop is an established business. The pawn broker is not here today and gone tomorrow like the flea market, auction sale, garage sale, or the guys selling out of a van on the side of the road. Today's pawnbroker knows his business is only as good as his reputation, and he wants to maintain a good reputation. It's as simple as that. The variety in the pawn shop is amazing. Since the merchandise is previously owned, the number of makes and models of merchandise can almost be limitless. You just never know what you may find in today's pawn shop. You may be asking, "Isn't a lot of the merchandise in a pawn shop stolen?" Today's pawn brokers are regulated and licensed by the state to insure they do not deal in stolen merchandise. All transactions are closely monitored by law enforcement agencies to see that pawn shop merchandise is not stolen. As earlier stated the pawn shop is an established business enterprise, not here today and gone tomorrow. Rest assured that the merchandise you find in the pawn shop is not stolen. So what are you waiting for? There is a world of bargains to be found in your neighborhood pawn shop. Check it out. You'll be glad you did. Shopping in your pawn shop is fun. Nowhere else can you find the value, and the variety offered on the shelves of your pawn shop. There is no other business like the pawn business, and no two shops are run just alike. The vast majority of pawn shops are managed by individual owner operators, making each one a little different from the other. So...make pawn shopping a part of your shopping experience.